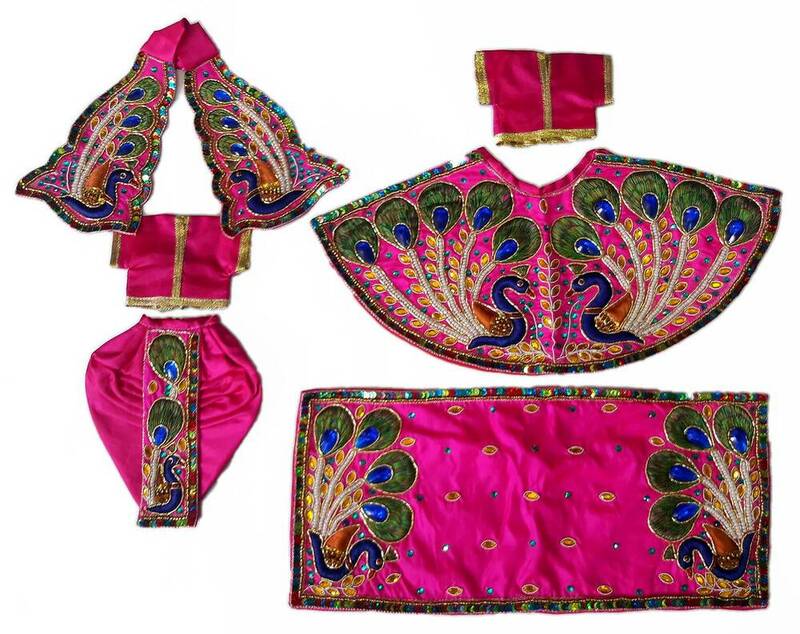 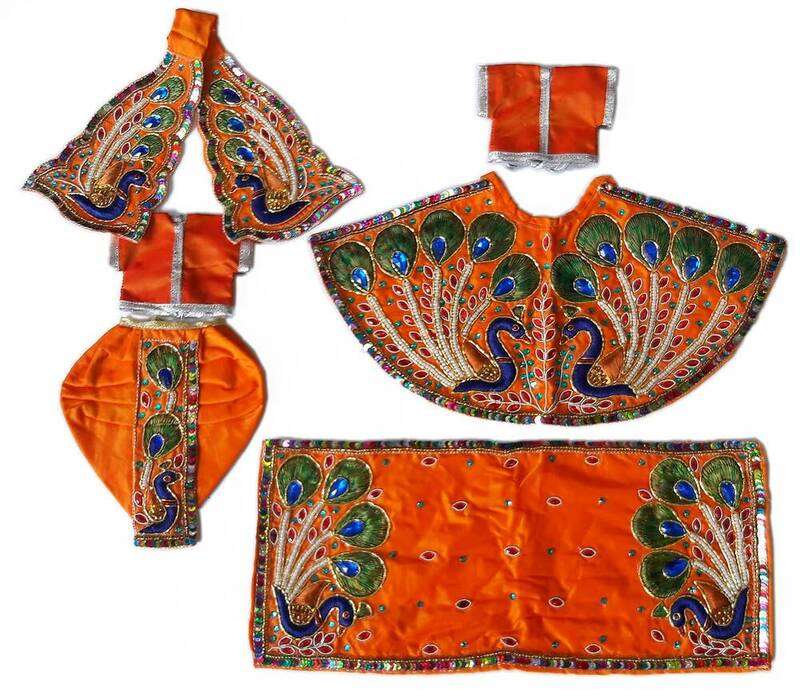 Deluxe Radha-Krishna clothing with beautiful full peacock design adorned with pearls and gems. 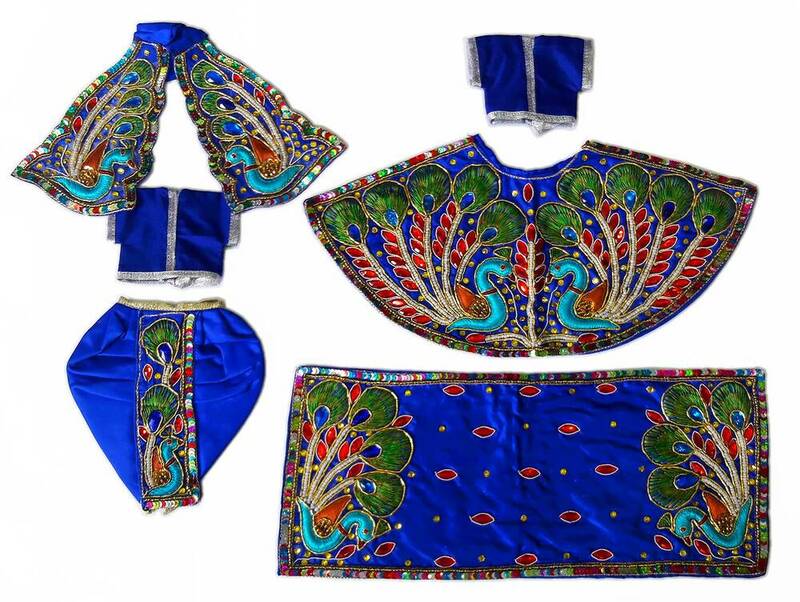 Available in many colors. 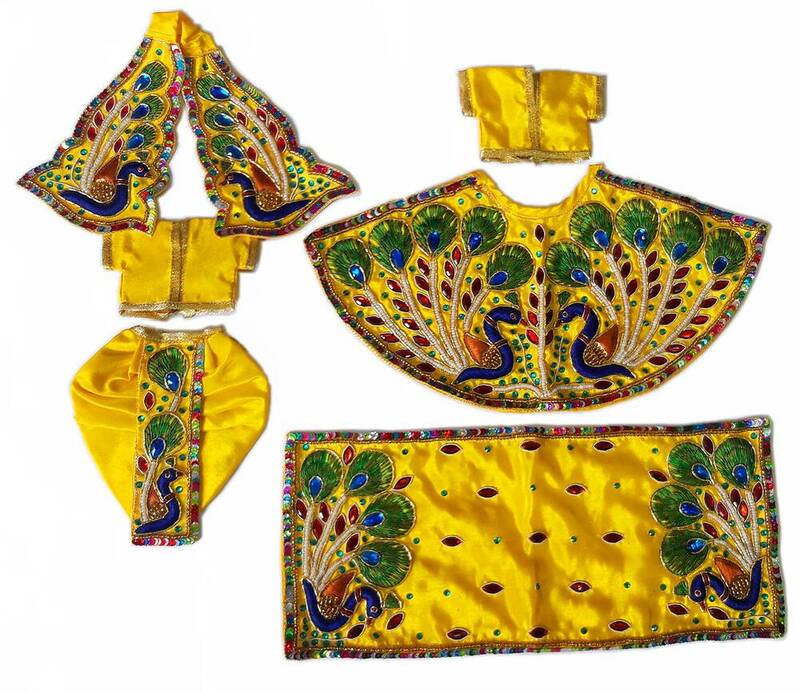 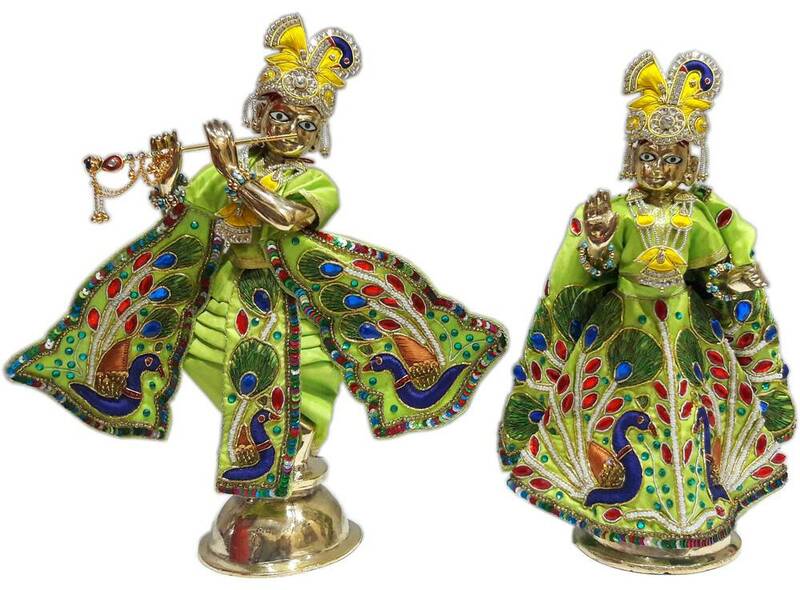 This is the clothing only for Radha Krishna, does not include crowns and jewelry.